Playwright John Greiner-Ferris at a rehearsal for “Plank” at Boston Playwrights’ Theater. John Greiner-Ferris’s “Plank” takes the simplest theatrical elements — a plank, some actors, a creative backdrop, and the audience’s imagination — and combines them into a sea of magical realism to explore questions of priorities and purpose. “Plank” follows Potpee, a woman who survives a shipwreck with nothing but a scrap of wood to cling to. After an unspecified time drifting in the sea, Potpee is rescued, but later discovers that her experience sets her apart from a society in which people place a higher priority on the number of “friends” they have than on actual friendships. Alley Cat received a $15,000 grant from the Boston Foundation’s new LiveArtBoston program, which made the production possible. “I hope this is the beginning of a trend to provide more support for experimental new work,” Greiner-Ferris says. Off the Grid Theatre Company has staged an intimate production of “Equus” in a storefront community space, and then followed up with a powerful production of the unflinchingly brutal “Blasted,” which earned the company two Elliot Norton Awards. This year, founder and artistic director Alexis Scheer was looking for new material. “The Weird,” which runs Sept. 1-16 at the Calderwood Pavilion, features the work of four local playwrights: Kirsten Greenidge, Obehi Janice, Lila Rose Kaplan, and John Kuntz. Kuntz said he thought about witches in terms of the Puritans in Salem in the 1600s. Scheer said letting the playwrights do what they do best was exactly what she wanted. Each of the plays is about 20 minutes long, with Greenidge’s serving as the through line. The Huntington Theatre Company opened its new production center this month at 46 Garden St. in Everett, where it will house its prop, paint, and scenic design shops. The building includes 25,000 square feet of production space, 18,000 square feet of storage space, and 4,000 square feet of office space. 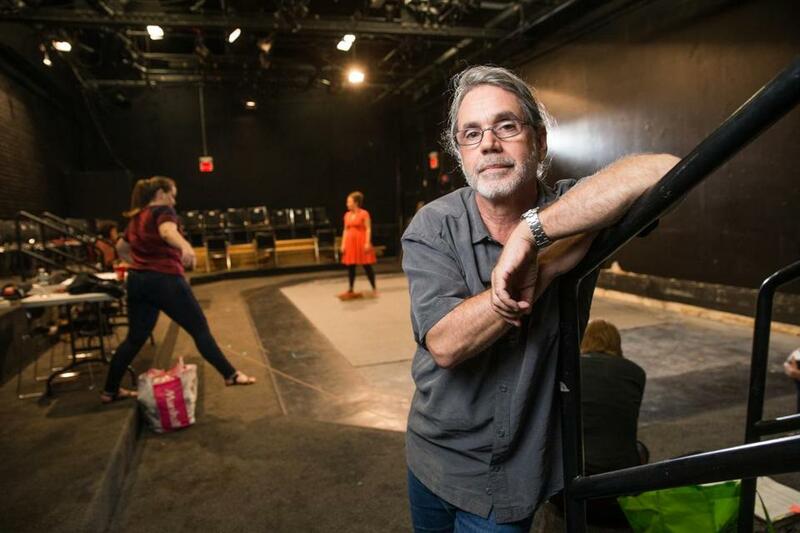 The theater company shut down its production facility on Huntington Avenue after the property was sold by Boston University to a developer. A new tower on the site will abut the former BU Theatre, which the Huntington will overhaul. With its expanded production facility, artistic director Peter DuBois said the Huntington will now be able to serve more theater companies and arts organizations in the area.